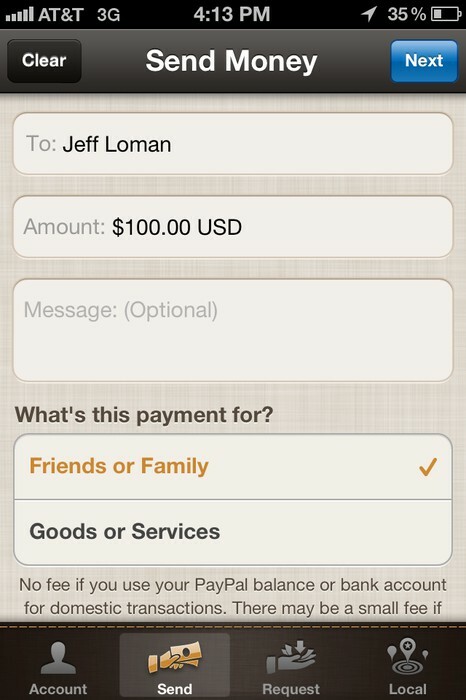 Enjoy PayPal on-the-go with the PayPal iPhone app. Whether you want to send a money gift or pay off a loan from a friend—sending money is easy and FREE (when using Bank or Balance as a funding source). 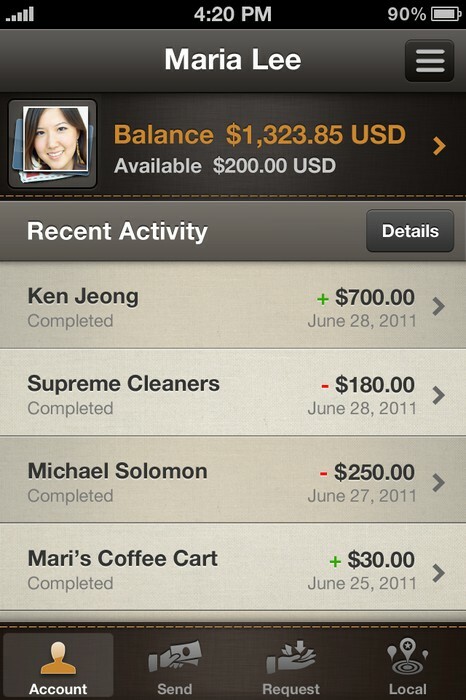 Check your balance, withdraw funds, or view past transactions—anytime, anywhere. 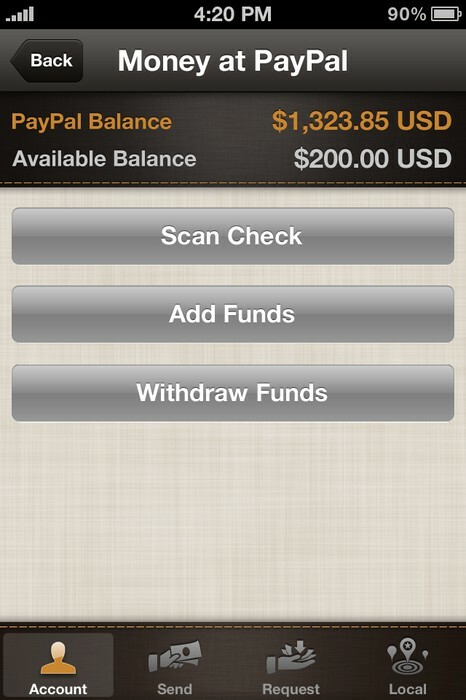 • Online or on-the-go, your financial information is always safe and secure with PayPal. 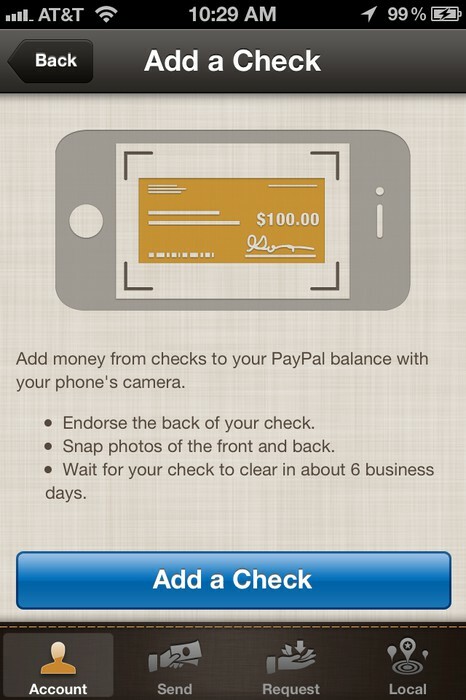 Snap a photo of a check to add money to your PayPal account for free. We’ve re-launched the ‘Local’ feature, where you can find local merchants who are using our new PayPal Here™ service and pay them with PayPal. 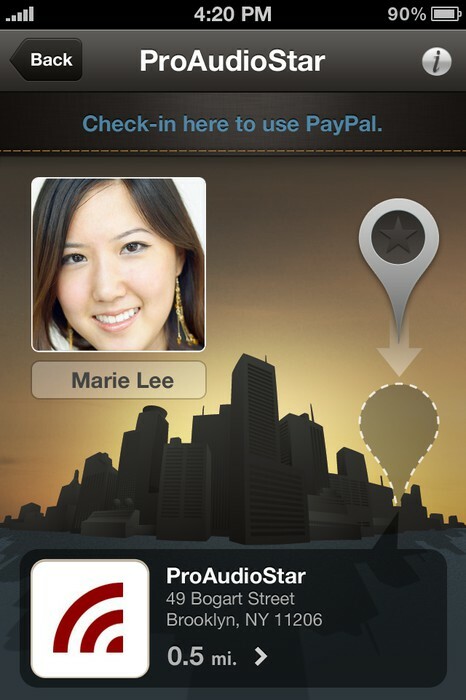 Online or on-the-go, your financial information is always safe and secure with PayPal.